After much anticipation the Xoom is out. 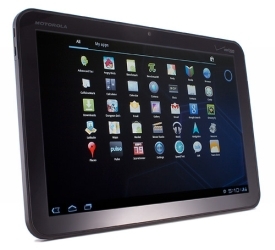 Motorola Mobility’s Android based tablet that won best in show at CES. But is it really out, you know, like the iPad, with no strings attached? No, my fellow reader (singular). It seems to have launched in a way that is difficult to understand. It is arguably the most anticipated device this year and it managed to beat Apple’s iPad2 by a couple of weeks. And what do they do? Force users to get a contract with Verizon! What the …? I rushed to Costco to get mine (well not really, I went there after lunch). They had those fake cardboard packages typical of warehouse clubs and I picked one up, went to the register and paid $780 big ones plus tax and ran to the little cage where they store these things. I was told I had to go to the Verizon counter to activate it. “OK” I said, even though I’m convinced that WiFi is the only way these devices really make sense. So I don’t need a contract. I just don’t want to wait until the WiFi only comes out. The guy there tells me he will open a contract for me that I could cancel after a month. The activation had a rebate and I’ll have to pay $20 bucks for the first month of service. Irritating, but OK, OK, I really want the device. So they proceeded to open a contract and they ask for my SSN. “What, for 20 bucks? No way!” to what the guy responded: “Yes, otherwise we can’t sell it to you.” Weird. So I said I wanted it without the contract. and he said “no can do”. “I’d like my money back, please.” Costco, without hesitation proceeded to a full refund. Now what kind of a ridiculous go to market strategy is that? When your main competitor is not only $300 cheaper than you, and one year ahead of you but has a brand so powerful that can sell millions of phones that don’t work if you grip them the wrong way! What in you mind will possess you to tie your product to a carrier? Subsidies? I’m sorry, $800 cannot have a subsidy. Unless Verizon is paying for the 4G-LTE upgrade which will be not only useless but painful. We all know how that’s going to go: Erase everything, make sure you back it up, ship and wait a couple of weeks for your devoice to come back. And, oh, by the way, the 4G-LTE contract that works in 3 cities in the world is $50 more a month. You know what? Keep your upgrade and your device! I’ll keep my money. Jobs and every employee in Apple must be laughing so loud that you can hear them across the US. Let’s hope Motorola Mobility will back pedal quickly and get it off contract. Otherwise I anticipate dismal volumes for the 2 weeks Xoom is ahead of iPad2. Such a shame for such a good looking piece of technology. The good news is that everybody else that will have an Android Tablet in the next few months will know not to do that. I guess I’ll have to wait until someone makes one that has no ties. 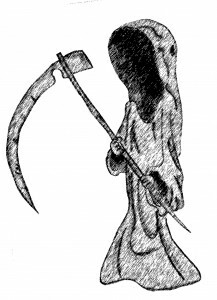 Or please, exhume the Xoom soon from Verizon’s death grip. This week Google backed satellite operator O3b, which stands for the Other 3 billion, secured $1.2b in funding to launch a satellite based fiber quality broadband service for the un-wired world (not to be confused with the wireless world). O3b estimates that 70% of the world’s population does not have access to the internet, and their satellite service will fill that gap. Now, that is not new. Motorola tried to offer phone service around the world with the now defunct Iridium venture. What’s different, one might ask? For starters, Google is backing it, which means they are not afraid of risk. Not that Motorola was, but Google has also a business model that can allow them to reach other heights if the forgotten 70% of the world starts searching online. Second, and the fun part, the satellite constellation will be launched at 8000 km above the Earths surface, or 4 times closer than geostationary satellites (like Iridium was). This means that users will get 4 times less latency (aka delay) one of the limitations that made Iridium usage so annoying. At this distance a signal will take roughly 50 mS to go up to the satellite and back to Earth. Seems acceptable, right? Third, it is not necessarily meant for mobile applications. This means that you can have a huge battery since you will not be carrying the device with you all the time. Again, like Iridium that needed a 20lb backpack to make a phone call. Although they will probably do offer telephone services it is not its main purpose. Internet access is. 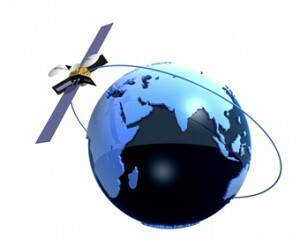 O3b plans to start commercial service by the first half of 2013 after their first 8 satellites. The question, my fellow reader (singular) is: will they survive? Who knows. Like I said, Google backing means a lot, especially since they are so used to non-money making ventures but with a strategy to make them money in the future (Android anyone?). But it is definitely an interesting approach that confirms the “universally available” part of Google’s mission. Will it support it’s “Don’t Do Evil” motto? Let’s wait for the business model. Well, it seems that the world is ponying up for what I call the third device unlike I had posted before. 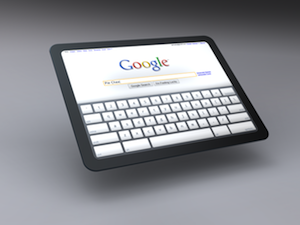 Verizon appears to be working closely with Google on a better Pad. At the same time Google has been posting videos of how Chrome OS will run on a tablet (I like tablet or slate better than pad for obvious reasons). The thing is “with Verizon” not “supporting Verizon”. My fellow reader (singular) this could really challenge the emperor’s Pad. Let me tell you why I think that’s the case: As lame as the whole category is in this blogger’s humble opinion, an unconnected (i.e. no cellular support) tablet is the lame of the lame. It brings me back to the 90’s when you had to go home or to your office to get internet access. Sure, the 3G iPad is about to debut, but @ $600+ i really think the market will be limited. Now, if our friends in Verizon Wireless agree to pardon the Nexus One debacle and decide to subsidize the gPad, imagine what will that do to the price. Neither Verizon, nor Google have to make money with the hardware, which really does a job to Jobs (sorry, couldn’t help it). Estimates of the iPad cost put it at $250 – $300 US, add a 3G (or maybe a 4G – ooooh – radio), we could be seeing a street price in the $400’s. Still hefty for a useless device, but less than $600+ for the emperor’s Pad (ePad? now I’m pushing it). But wait, there’s more! 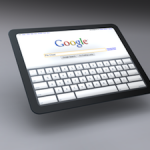 Chrome Os is the word on the street, not Android. What that may mean is a real processor capable of Flash (not Flash lite) and real browsing. Yes, my friend, I believe it will be x86 based which means that every website you can go to on Chrome today – which is virtually any website known to mankind and robotkind – is accessible to your gPad. Not even Palm’s (future HP’s MaxiPad) running WebOs can do that! Apps anybody? Yeah, sure, real apps with Java or the like, not fake widgets that look pixelated. Content? Did I mention it is Google? So there it is. As much as I hate the category, a subsidized x86 based tablet may be the ticket to ride. BTW, Adsense must be having a ball with this post! I’m sure the ads are funny albeit unrelated. Do comment. April 19, 2009 by lfllmg · Comments Off on Will WiMAX take off? Sprint is touting its recently launched 4G service. It is a result of a joint venture with Clearwire. The underlying technology is called WiMAX (Worldwide Interoperability for Microwave Access). WiMAX is a standards-based technology enabling the delivery of last mile wireless broadband access with performance expectations similar to those of wired broadband like cable or DSL. WiMAX provides fixed, nomadic, portable, and mobile wireless broadband connectivity without the need for direct line-of-sight with a base station. In a typical cell radius deployment of three to ten kilometers, some WiMAX Forum Certified™ systems can be expected to deliver capacity of up to 40 Mbps per channel, for fixed and portable access applications.